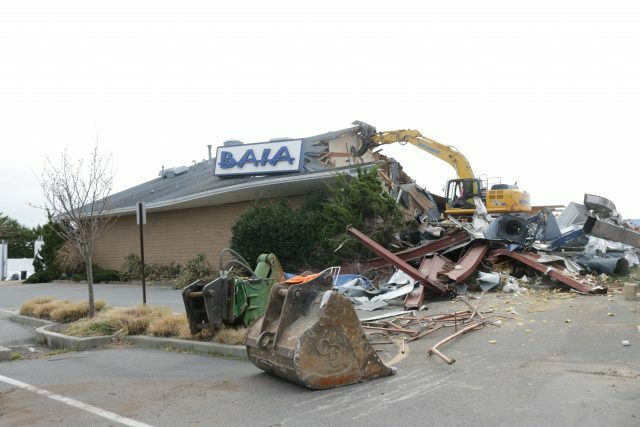 The Baia Restaurant on Bay Avenue in Somers Point is torn down. 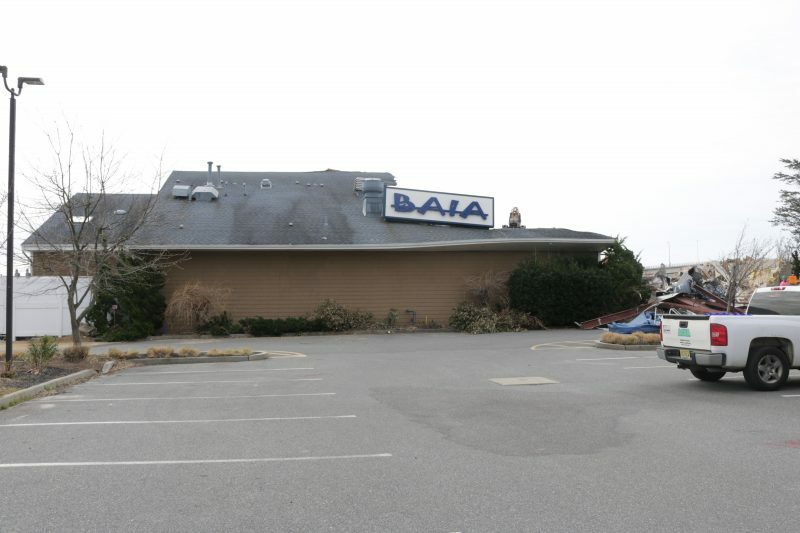 Demolition crews began knocking down the former Baia Restaurant, 998 Bay Ave. in Somers Point, and at this point, city officials say they aren’t sure what will become of the property. “The owner, GMH Restaurant Holdings LLC, took out a demolition permit and yesterday they began demolition,” said Planning and Zoning Board Administrator Jayne Meischker. She said at this time there are no applications before either the planning or zoning boards for a new restaurant or other business at the site. 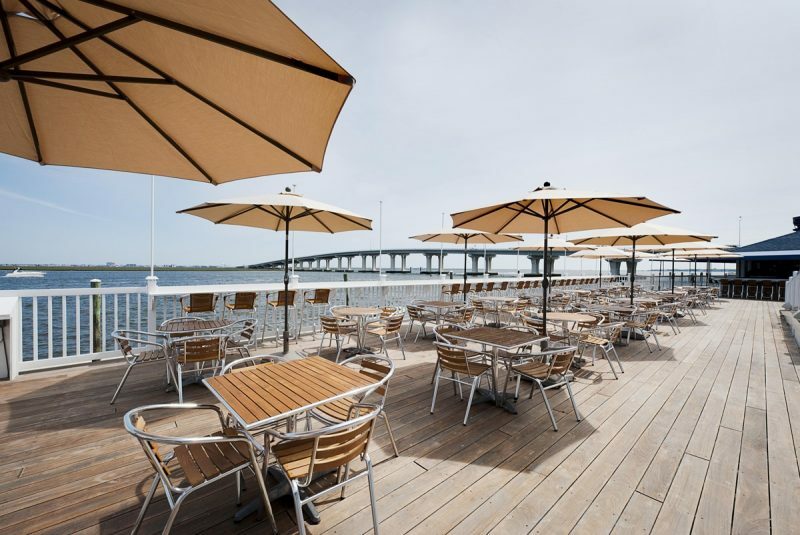 Baia touted its ambience, delicious cuisine and fantastic bayfront views on its website. 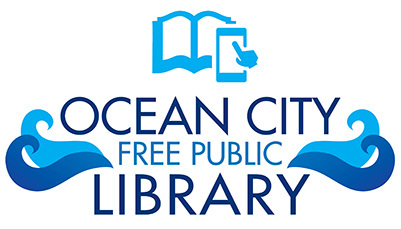 It opened in 2011. The eatery was “where contemporary Italian cuisine is matched with an unrivaled ocean view and exhilarating entertainment,” according to the restaurant’s website www.baiarestaurant.com. But on Thursday and into Friday crews were busy tearing down the structure. A worker operated a giant excavator that grabbed at chunks of the building. Piece by piece the outer shell of the structure came crashing down into a heap of dusty debris. Reports are circulating around Somers Point that it will be turned into a Tiki Bar or condominiums will replace the business. Baia was the last restaurant brand to operate at the site. Previously, the Inlet restaurant occupied the space. Prior to that it was Sails. It also was The Waterfront, according to a food blog, hungrypilgrims. The demolition leaves Somers Point with one fewer restaurant in a high-profile location along the Bay Avenue corridor. Baia was the latest in a series of restaurant brands that operated at the Bay Avenue site over the years.